While most credit card issuers are cutting back on offers, a few are still mailing, hoping to find a few more reliable customers. And some of their offers sound too good to resist! You might be offered introductory rates at Zero percent for a limited time – no balance transfer fee – no annual fee for a rewards card – a low rate for the life of a transferred balance. If you use your card a lot, or if you currently have a balance on a card with high interest, you may be tempted to take them up on the offer. But first read the fine print. It may SAY you’re pre-approved in the large print, but the small print may say you’ll get the offer only if you meet their requirements. This could include your income, your debt to income ratios, and your credit scores. Be careful here. If you tell the truth on the application and they don’t like your annual income, you may not only be turned down for this card, your revelation could trigger a reduction in credit lines with affiliate cards. Chase Bank, for instance, offers a wide variety of cards – you may already have one or more. But if you fill out a new application and enter an income that’s “too low” they will share the information with other Chase cards and you could pay the consequences. Next, after you’ve filled out the application and asked to have a balance transferred, don’t assume it’s a “done deal.” They could deny the transfer altogether, or transfer just a portion of the balance. And that could turn into a mess, because they might also give you a higher interest rate than the teaser letter promised. You might be going backwards! What can you do? If they’ve done a transfer at an unattractive rate, call and negotiate. Try to get it back to at least the rate you were paying on the previous card. If they denied the transfer, or if you hadn’t asked for one, simply call and cancel immediately. If you do it right away, it won’t reflect poorly on your credit score because neither the account nor the cancellation will have been reported. A better plan is not to ask for the balance transfer until you have the new account. Getting a partial transfer, or getting a transfer at the wrong terms will only serve to complicate your life. If you need or want a new card, do your research and apply for exactly the card you want. 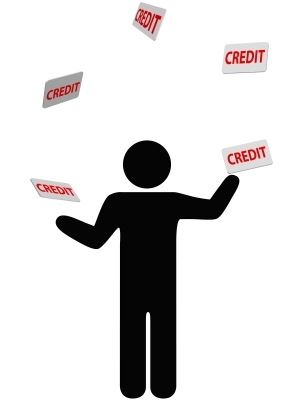 Find out what is available for a person with your credit score and your debt to income ratios. Then choose the card that’s most favorable to you and make application. Don’t include a balance transfer in your application – you can do that later if you’ve gotten the rate and terms you wanted. You are currently browsing the archives for the credit card offers category.